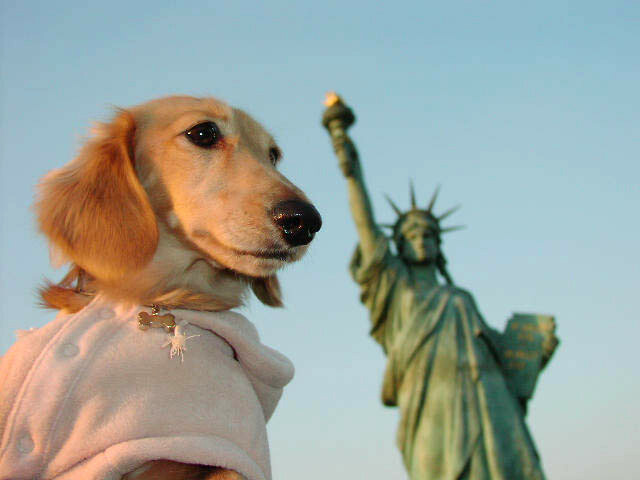 Betsy sheds a tear as she reflects on our great nation. 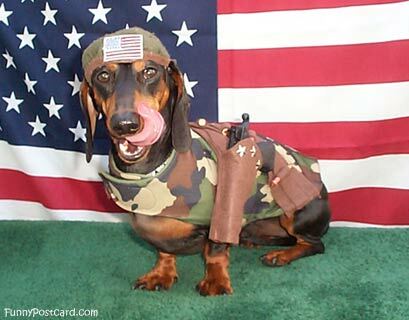 Nickels lick his chops in excitement as he daydreams of the barracks that await him in the Middle East. You are one brave pooch.